South Korean officials were blindsided by President Trump’s Thursday morning announcement that he was canceling the June summit with Kim Jong-un, per the AP. President Moon Jae-in said, "I am very perplexed and it is very regrettable" that the summit won't go ahead as planned. What’s happening: At a late-night emergency meeting called to respond to Trump's announcement, Moon urged Trump to hold direct talks with Kim to resolve the standoff, per Yonhap. 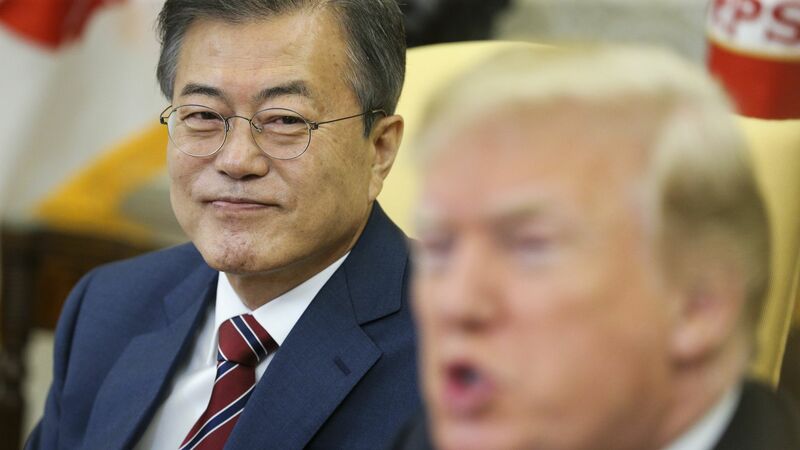 Moon only returned to South Korea yesterday after meeting with Trump at the White House to discuss the summit. He is now in a difficult position, as South Korea had planned to resume peace talks with the North.